On cool, rainy days, I'm a sucker for layers. I layer on sweaters, blankets, and it's no exception when I craft. I like to layer on piles of pretty fabric, felt and ribbons and never tire of the wonderful texture layers create. 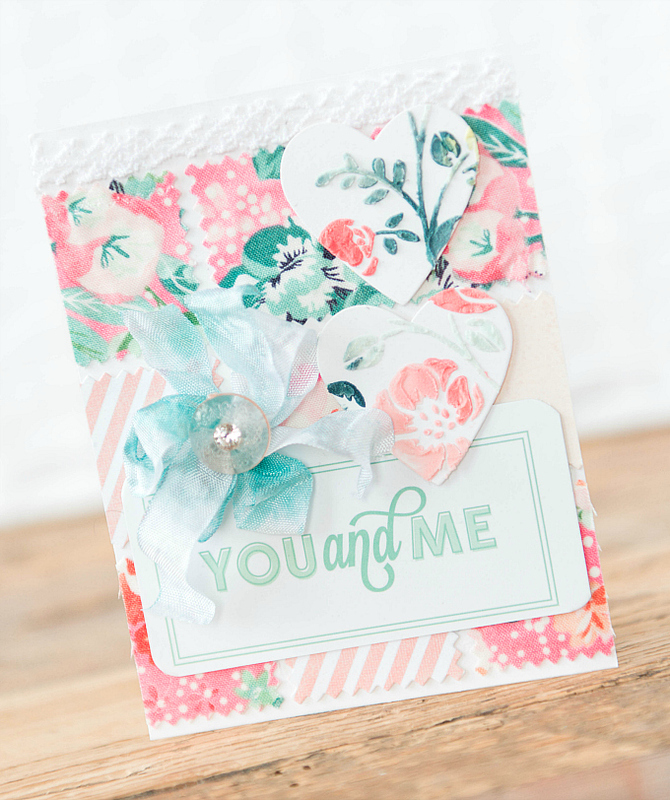 Here are a couple creations that will hopefully brighten rainy days, and keep hearts cozy. For the little tag, I used the Tag Sale #4 die, a felt bow, some ribbon, a couple of banners and a couple of tiny hearts. I love the way the felt adds texture to this tag, and the vibrant colors make me so happy on a rainy day! For the card, I used some Basic Grey fabric, and a patch die to cut out the little patches. After assembling the patches, I added a couple of different patterned papers too, to break up the bold print. 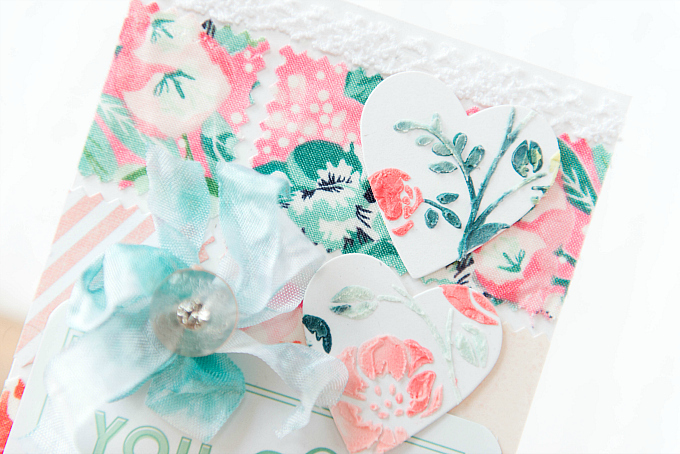 For the little hearts, I used a texture paste embossing technique with this gorgeous Tim Holtz stencil (more info in this post) and a hand dyed ribbon. At the bottom, I added a little journalling card for the sentiment. Loving all the layers here! It makes me so happy when my eye dances around to all the different textures, colors, and details. Perfect cure for a rainy day! 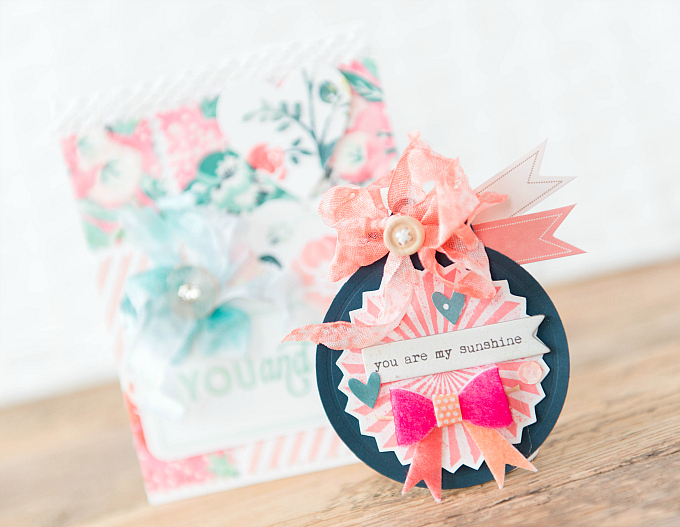 You always share the most frilly feminine projects! These are lovely! The colors are so pretty, and I love how you used the ribbon. Love the beautiful colors and texture! Have a great Saturday! I love what you do with that Tim Holtz stencil. It is so pretty I feel I must hunt it down and add to my stash. 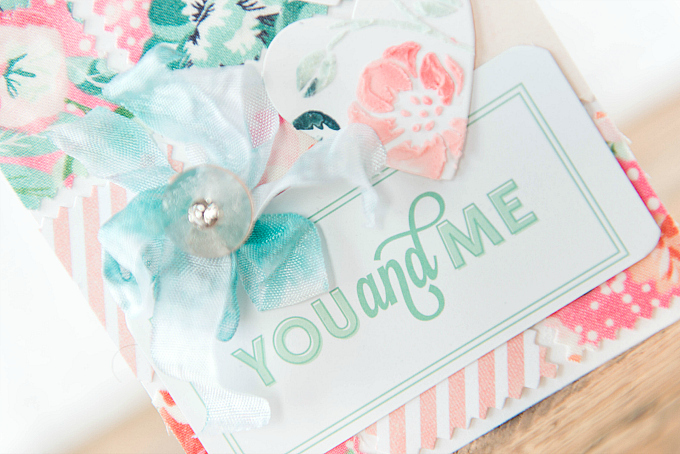 I adore the various shades of corals and aquas on your sweet card. And that little bit of striped fabric peeking through just completes it somehow! This is amazing. 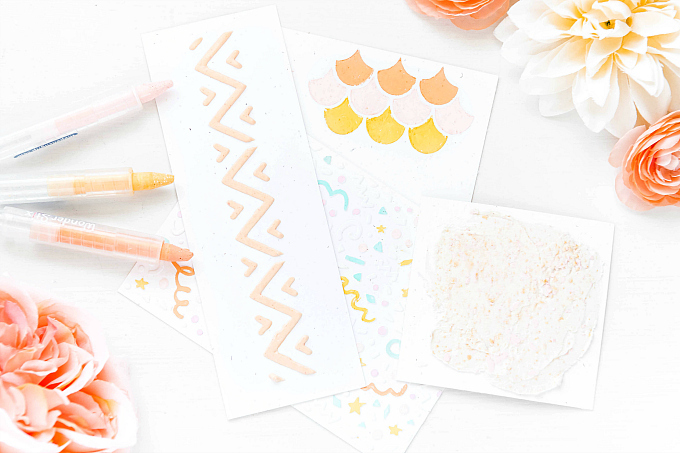 Love how you added texture paste to the hearts. Stunning!!! Thank you so much for visiting and the sweet words, Daniela :) Sending hugs!